Some Audiophiler from southern asia asking !!
" 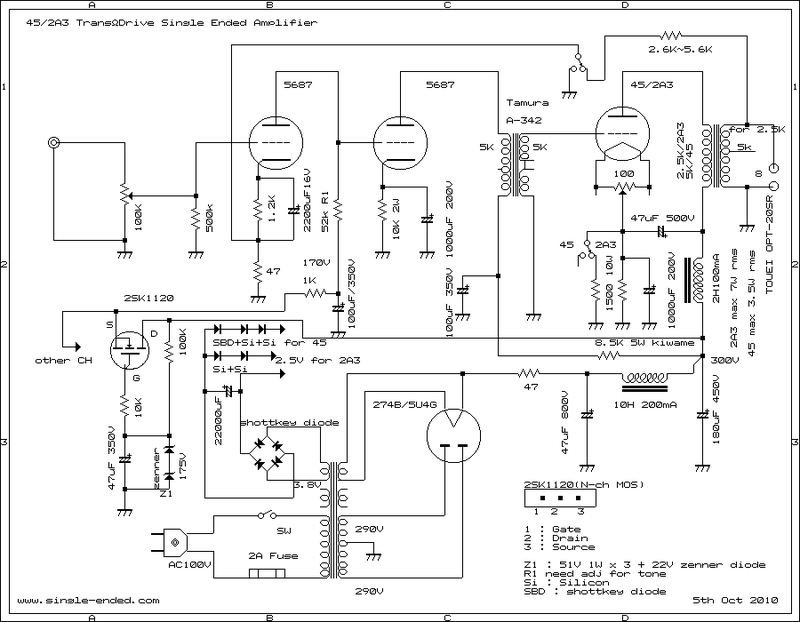 Can you try 2A3 Single Ended Inter Stage drive Amplifier with WE417A". I said ! suppose be not so good by one tube drive with inter stage transformer. but I will try his one dream, 2A3 drive by one small with inter stage transformer. 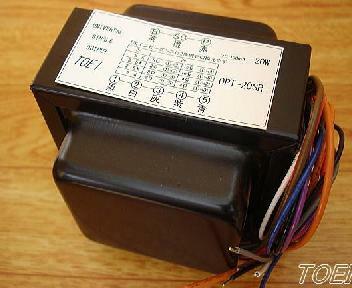 Universal Transformer(just same like U-808 Tango).A-342 is special type of Transformer. and not for Audio hobbyst.primary is 5K and secondary is 2.5K + 2.5K 2 of wound. good transformer.Audio Transformer are cut core transformer of 3rd party MFG. depend on charactor of interstage Transformer and Audio OUT PUT Transformer charactor. 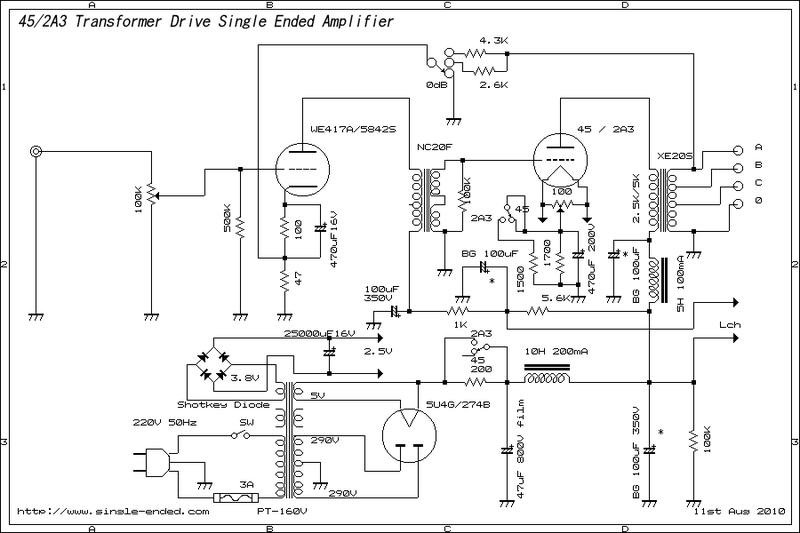 need good response of audio transformer. sound: sound is quaite good. does not get good curve on frequency response on meter. so sound of low edge is soft.some thing like low DF sound.and high edge is same as low. very similar of trium tangstain filament valve amplifier sound.sound like musical but narrow. 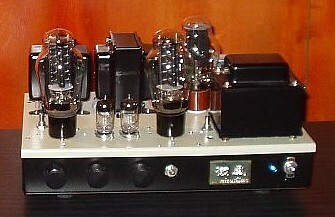 most 2A3 single ended amplifier put out around 3.8W rms. but 30% more power getting. clipping when gave level over signal to input line.getting squer wave from out put line. 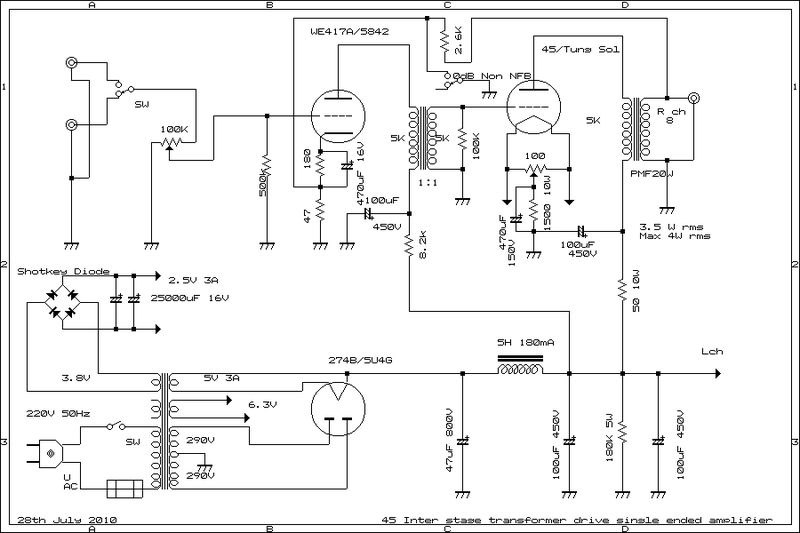 any way I am getting enough power than CR coupling Amplifier. suppose be good for old Jazz play. 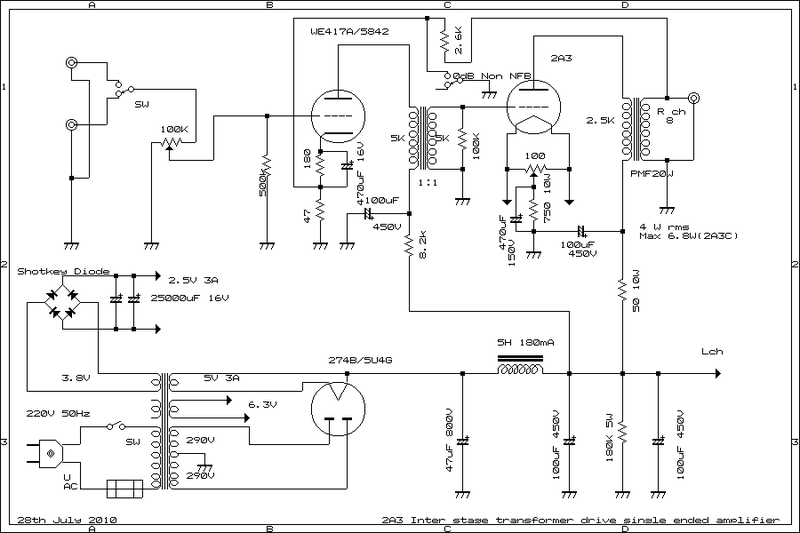 you can get very modern powerfull sound from 2A3SE Amplifier. resistor from 750 ohm to 1500 ohm and changed out put impedance to 5K ohm. sound is great and soft clip is about 4.0 W rms.this is merit of Transformer Drive. problem with normal use.and I have to adjust +B for suitable plate voltage for insure. circuit is shown above using XE20S and NC20F how about ? LayOut is not same because NC20-F is very big. CP-2500 Tokyo Kohon plastic potentiometer for high end model. Octal gold US Base for 274B. Nichicon.wire are using Belden,silver rith wire and OFC rith wire,etc. Binding Post are 6 for 2.5K and 5 K load impedance of 8 ohm. 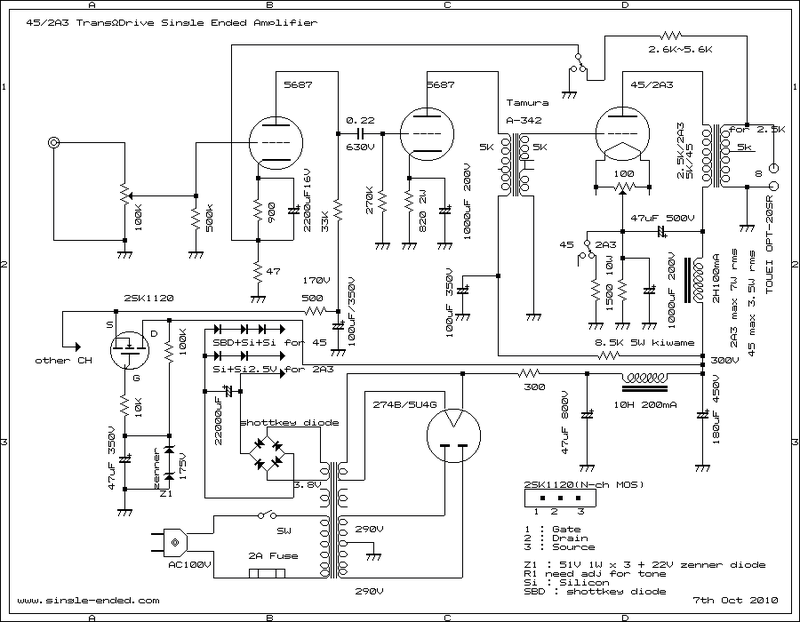 2.5K for 2A3 and 5K for 45. signal resistance are AMRG non inductive resistance. only one input line unbalanced. RCA are Super Tron. I do not know who said WE417A inter stage transformer driver is good. drived 5687 high power and high gain low plate load valves.sound is very wide. good tone and power is enough for 91dB/m Speaker System. 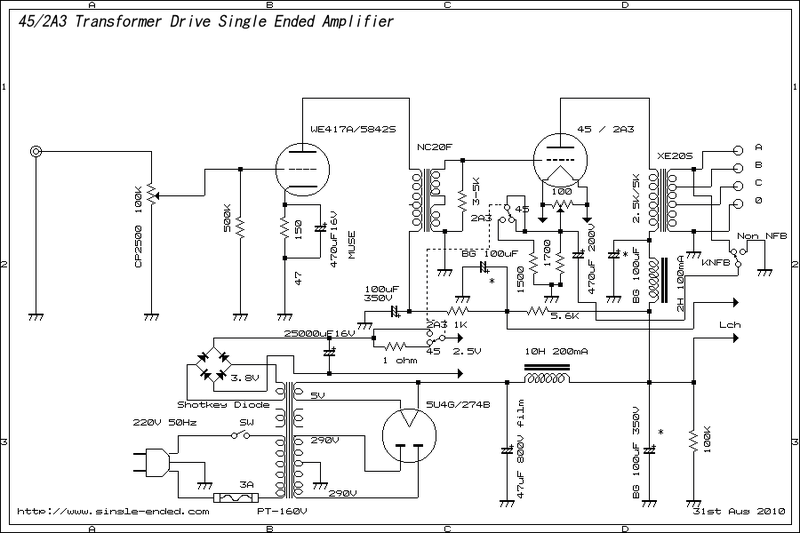 very low cost amplifier but sound is very very great than expensive single ende amplifier. 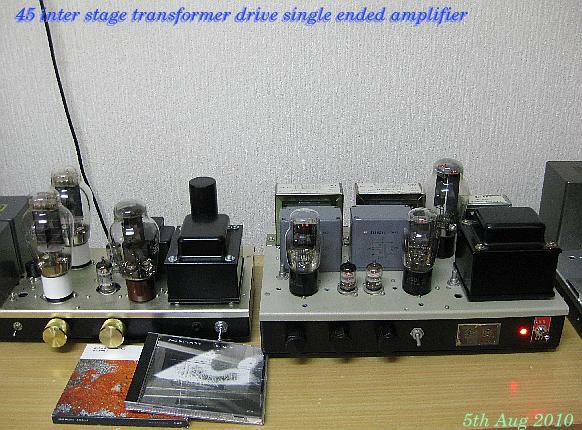 Audio Transformer and low cost Transformer in Japan.10Hz to 90KHz.20W universal Transformer. 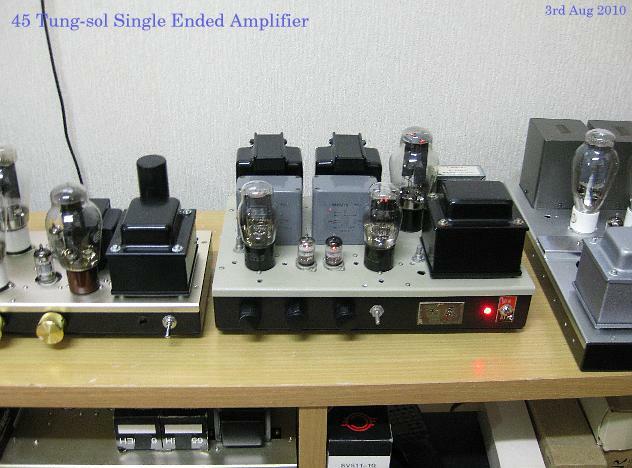 transformer drive amplifier.if use XE-20S and NC-20F , will be get more good sound. 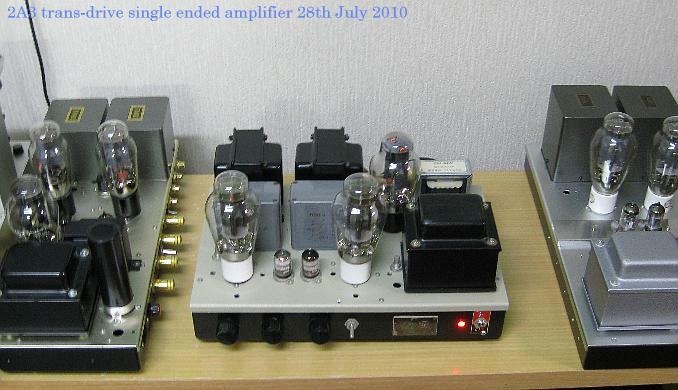 this is very best Amplifier of mine. 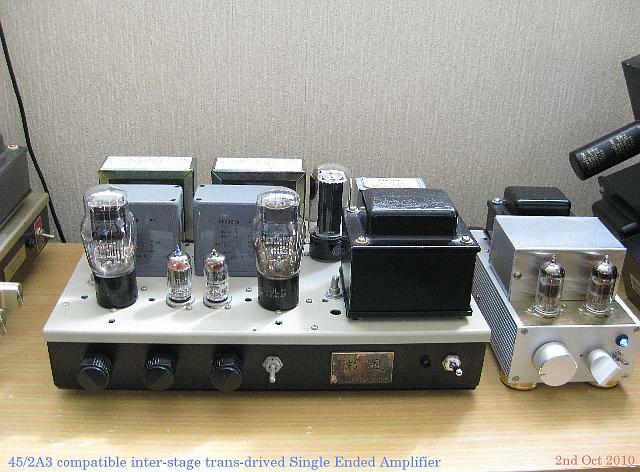 one thing not enough drive triode with inter stage transformer.many person said very good tube. capacitance of input line.most bad risk is very difficult to get good WE417A or 5842 tubes. 1st stage's power supply is regurated voltage for one of FET resgurator with 204V Zenner diode. strong signal.easy makes good sound of good Bass and good mid and high frequency range. sounding are very clear from low range to high range.what's meanning sound is very modern speedy. has more "body" than only C coupling Drive.even direct drive(LW type) too. sounding is very good low(Bass) and mid-high are so nice from WE300B SET. probably good for KR 300BLX with Tango NC-16 and FC-30-3.5 or F5002 of Tamura. 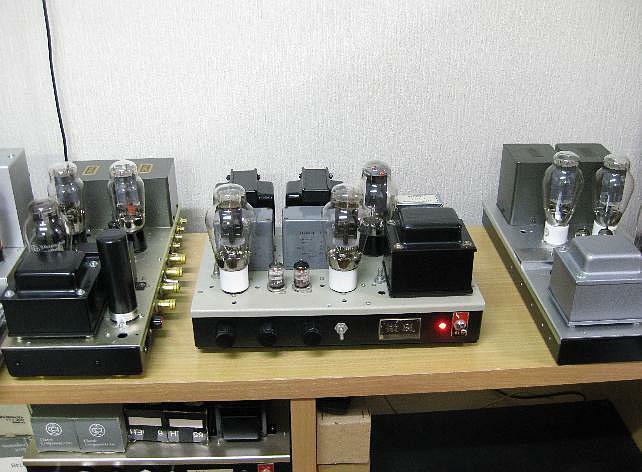 Perque Drive.probably get more bass than JE Lab 300B style single ended amplifier. 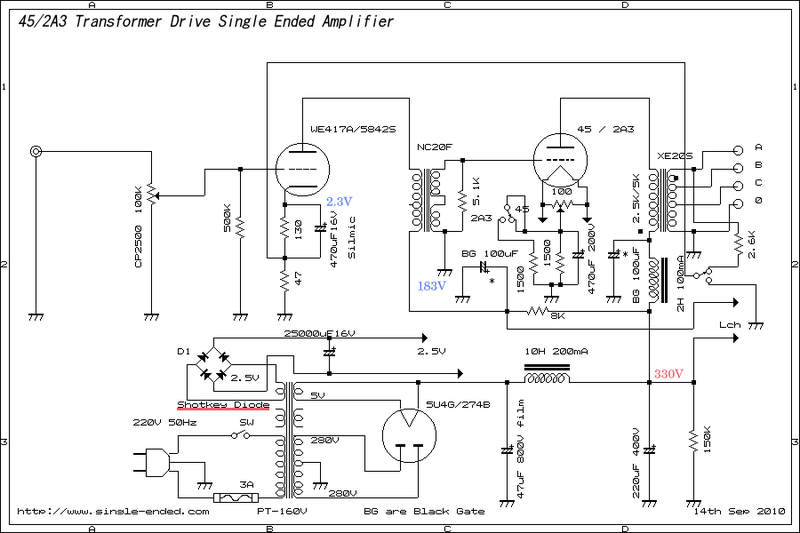 for try your 300B single ended amplfier D.I.Y.